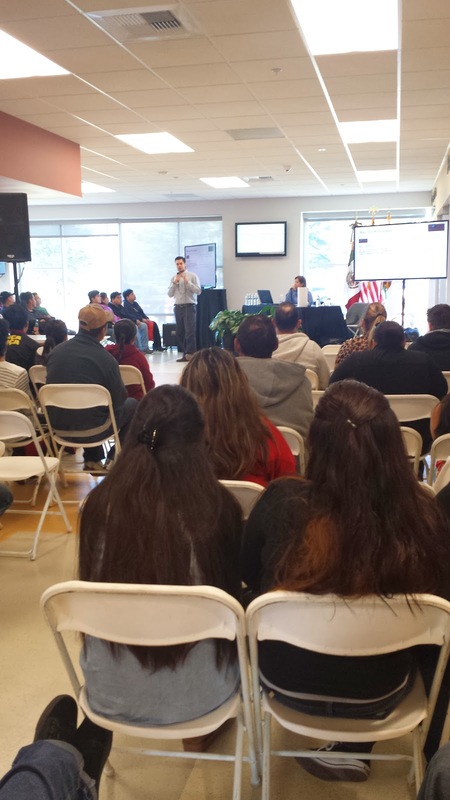 SACRAMENTO, CA- Thursday, January 30, two days before the Mexican Consulate's one day annual "Steps to College" or, "Pasos a La Universidad," Consulate General Carlos Gutierrez explains the urgency in educating Latinos in this area. "Steps to College, Paso a La Universidad"
"Unfortunately, this new Latino segment does not have the education levels that society requires. The Mexican population between ages 23- 29 with a university degree in California is 14 percent. That is compared to the White population at 35 percent and the Asian population at 44 percent." Together with Cien Amigos, California Student Aid Commission; University of California; The Mexican Cultural Center and UC Davis, "Steps to College" was created to provide a variety of resources for Latino high school students to be acclimated into the process of applying for college. Over 3,000 participants attended. 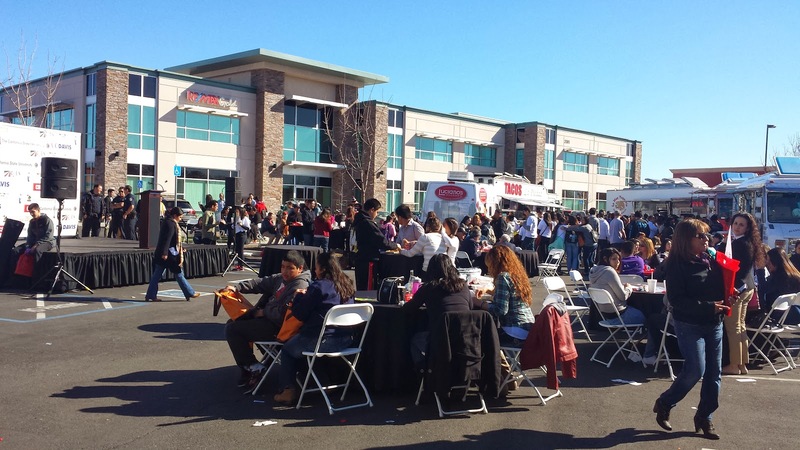 Live mariachi entertained and food trucks lined the parking lot of of the Mexican Consulate. Information booths and computers were available for on-site FAFSA and Cal Grant applications set up for immediate use. Workshop topics included admission processes, financial aid, and consular affairs in both English and Spanish. Both students and parents took part in educating themselves about education. Packets containing a wealth of information leaves with them after consulting counselors on how-to's of university applications as well as checklists. A list of scholarships that don't require proof of U.S. citizenship is also given to participants. Sponsors of the event included: Latino Policy Coalition, Sacramento State, The California Endowment; and several key corporations such as Wells Fargo, US Bank and Bank of America.